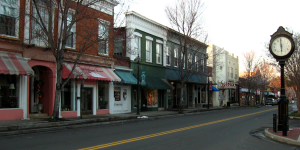 CONCORD, NORTH CAROLINA – Dec. 28th, 2015 – Vision Metering, LLC, an internationally recognized metering manufacturer focused on providing customers innovative, quality products, announced today that the City of Concord, North Carolina has opted to use Vision meters in their Nexgrid AMI deployment taking place throughout 2016. 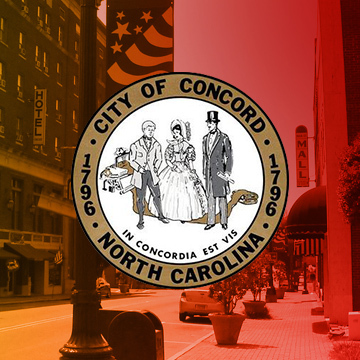 The City of Concord serves over 29,000 electric and approximately 39,000 water customers in an area northeast of Charlotte. Over the next year Concord will install close to 30,000 Vision meters – containing the Nexgrid communication technology necessary for AMI communication. The main benefits are to reduce costs for the city and customers, increase the customer’s access to information and improve the quality of power provided by the municipality. The Nexgrid infrastructure paired with Vision meters will enable Concord to enhance customer service by giving the electric department the analytical tools necessary to better understand customer demand as well as identify strengths and weaknesses of its system. Concord residents will have access to the Intelahome© customer portal which allows them to track energy usage and better manage their consumption. The accessibility of information and intuitive software are just a few of the reasons Nexgrid has been chosen by Electricities of North Carolina as their preferred AMI provider. Good customer service starts at the meter. With Nexgrid and Vision combined, I think this joint AMI platform can take our customer service to the next level. NexGrid’s AMI platform utilizes ZigBee and Wifi mesh systems to distribute information and ensure consistent service. It also allows the City to work more efficiently by performing remote connections and disconnects as well as providing a street light control system. This technology has been verified as both safe and extremely secure. The AMI system can also be integrated into new technologies purchased by the City in an attempt to future-proof development. NexGrid and Vision Metering value evolving technologies and the benefit of systems built on low-infrastructure, flexible platforms. The quality and capabilities that Vision Electric Meters bring to the AMI platform has so far proven to be a solid foundation from which to build the City’s Smart Grid project on. The City of Concord strives for excellence and with the help of Vision and Nexgrid we feel those goals can be met. With a forward-thinking mentality, innovative engineering and strategically positioned partnerships, Vision Metering has become an internationally recognized brand that embodies both quality products and unparalleled customer service. Currently, Vision has secured business alliances with Verizon and Nexgrid that place it at the forefront of AMI metering.